The American Fly Fishing Trade Association has announced Keepemwet Fishing as a recipient of a Fisheries Fund grant, to support their work on education about catch-and-release and proper fish handling techniques. BOZEMAN, Mont. – Earlier this month AFFTA awarded Keepemwet Fishing with a Fisheries Fund grant in the amount of $2,500 for their continuing work in educating anglers on the proper way to handle and release fish. 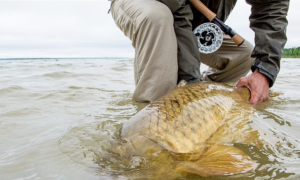 “We’re seeing a tremendous shift in angler appreciation of and care for the fish they catch and how they handle them,” says AFFTA president, Ben Bulis. “Social media has definitely forced us to take a closer look at what we might’ve considered ‘normal’ in the past. A new catch-and release ethos is being adopted, and we’re proud to support Keepemwet Fishing and the significant role they’re playing in fostering that change. 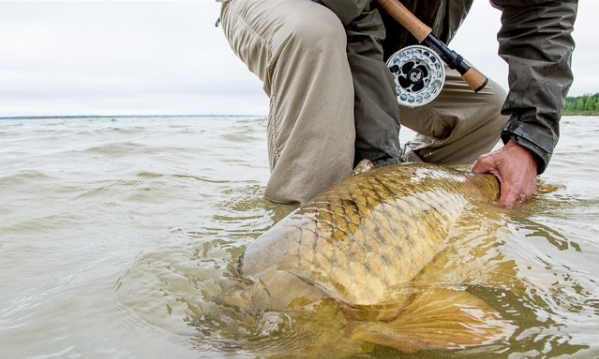 “Keepemwet Fishing is about releasing fish in the best condition possible,” says Sascha Clark Danylchuk, head of Operations at Keepemwet Fishing. “We believe that recreational anglers are a key component of fish conservation, and that science-based approaches can help create healthier fisheries. Our education campaign provides anglers with easy to use principles and tips that help create the best outcomes for fish that are caught-and-released. “The grants we have received from the AFFTA Fisheries Fund have allowed us to reach a greater audience through our education campaign on the best handling practices for catch-and-release. We couldn’t have done it without the help of AFFTA,” she adds.